I love this dish because it takes barely any time to prepare, it feeds a large group, and it comes out tasting delicious every time. I just made this for a Sunday dinner at my house and it fed 7 adults, 5 kids, plus leftovers.. It takes only 5 minutes of prep work and other than pulling it out of the oven when the timer goes off, it needs nothing else. 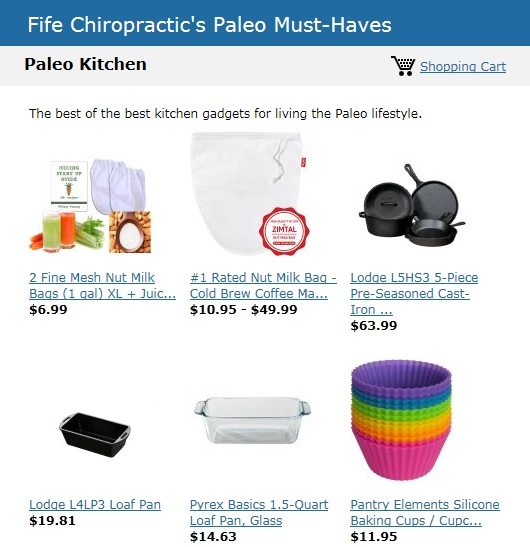 Save your hosting stress for some other party crisis! And if you don’t need to feed a small army, just cut the recipe in half and decrease the cooking time to 50 minutes instead of an hour. I truly hope you enjoy it! Preheat the oven to 350 degrees. 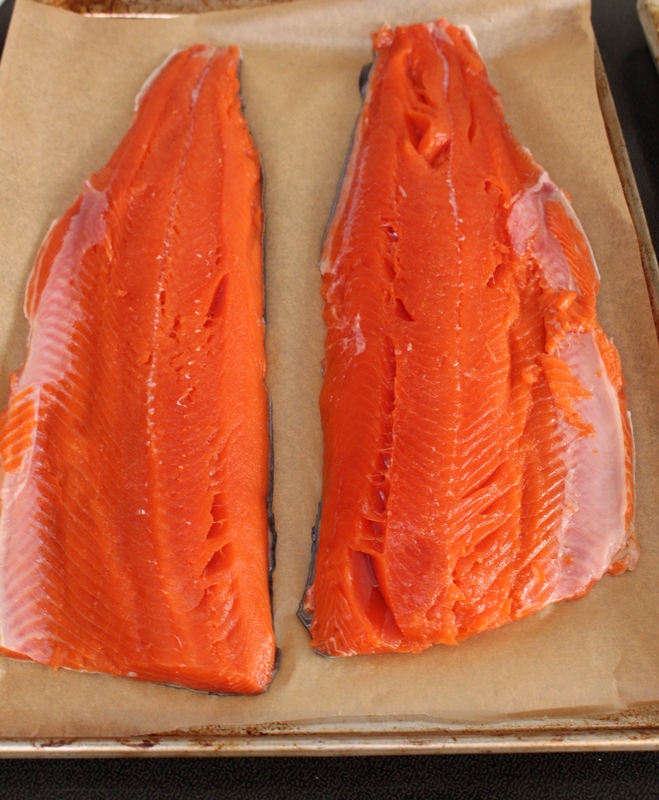 Line 2 cookie sheets with parchment paper and lay 2 pieces of salmon on each sheet. Chop and dice your garlic and shallot into tiny pieces (you also could puree it in a small food processor). Mix together the olive oil, lemon juice, garlic, shallot, salt, and pepper. 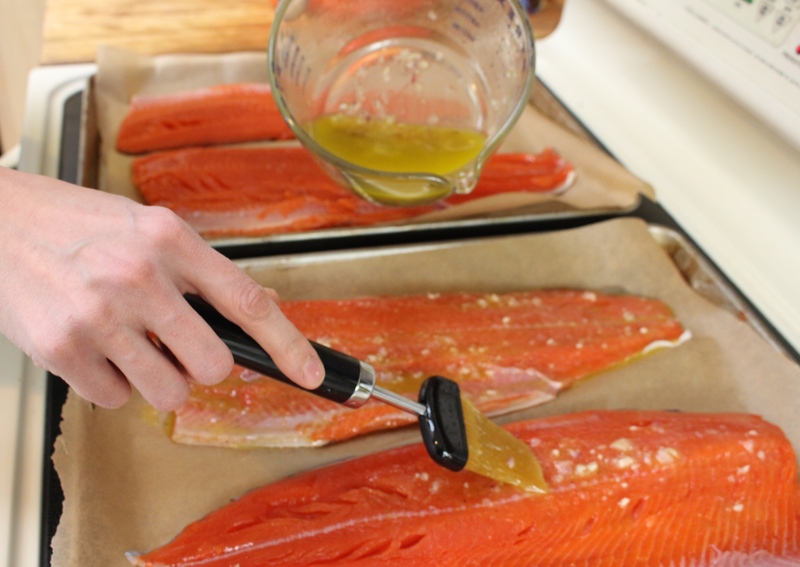 Brush the mixture evenly onto the salmon. Bake the salmon for 60 minutes. And it is as easy as that! Makes enough to serve 12-15 adults. I’m always intimidated about cooking salmon, I’ve had some really poorly cooked salmon experiences in restaurants. Any tips? I really want to get proficient at cooking it at home! Hi K! 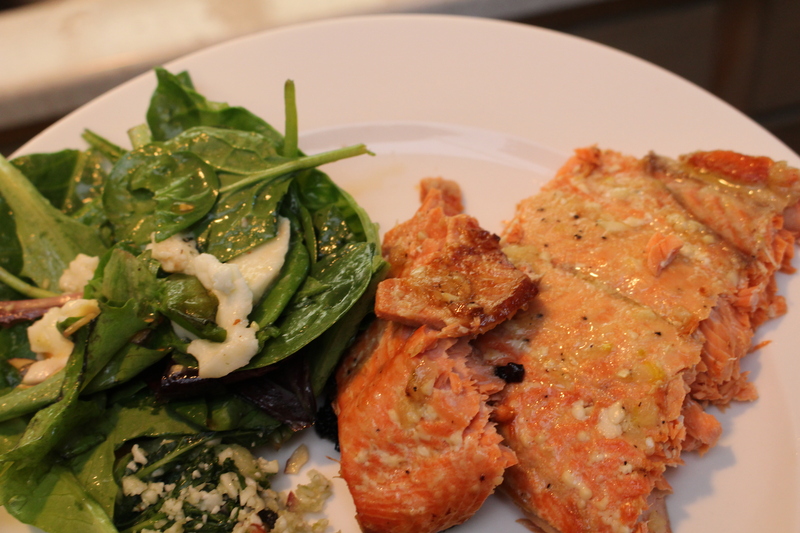 Salmon is actually surprisingly easy to cook once you get a feel for it. It is high in fat so it handles heat well and is hard to burn. Some people enjoy their salmon a little under cooked but I actually prefer mine more medium-well done. I would suggest to rip off the bandaid with this recipe because it is simple and really hard to mess up. Once you master that try my stovetop salmon recipe I wish you luck! You will do great!